Dr. Elaine Fogel Schneider serves as Executive Director at TouchTime. Dr. Schneider is a parenting coach and consultant and a board certified dance/movement therapist. She developed TouchTime to successfully transform the lives of both children and parents. Dr. Schneider has made it available on an international basis and has spent time instituting this program in Vietnam. She is a member of the American Speech, Language and Hearing Association, Member of the California Speech, Language and Hearing Association, and a Governor Appointee, to California’s Interagency Coordinating Council for Infants and Toddlers with Disabilities, and their Families. 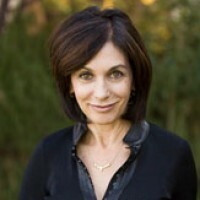 As a Fellow of the California Speech, Language and Hearing Association, Founder of Baby Steps and Community Therapies, and First Nurturing Touch, Dr. Schneider expanded her knowledge of these disabilities with a proven strategy to implement change while working with parents, teachers, and administrators. er future goals include publishing a new book about the Early TouchTime Communication Paradigm for parents and therapists, and the Positive Self-Regulation Curriculum Handbook.